Home Opinion Fr. John Flader What really happened when Our Lady appeared at Fatima? 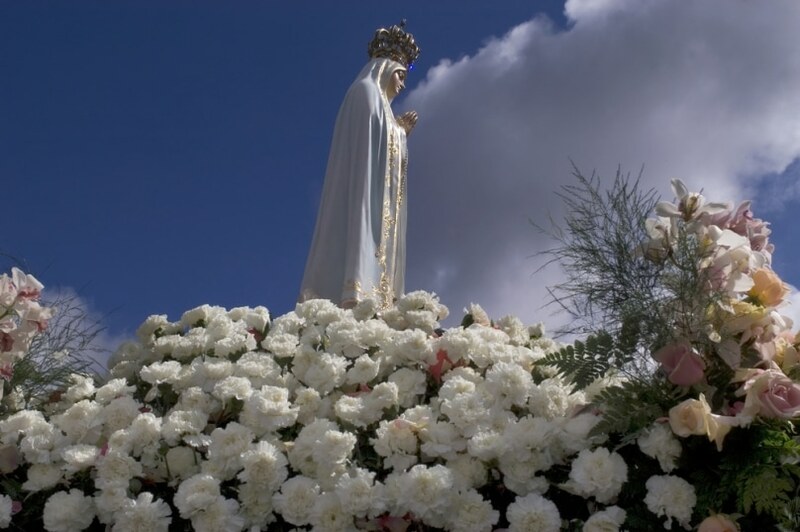 What really happened when Our Lady appeared at Fatima? Dear Father, I have heard a lot over the years about the apparitions of Our Lady at Fatima but really don’t know much about the details. Can you fill me in? This is a very relevant question at this time since Our Lady first appeared in Fatima, Portugal, on 13 May, 1917, and next year will be the centenary of the apparitions. She appeared to three little children: Lucia Dos Santos, who was 10, and her cousins Francisco and Jacinta Marto, aged nine and seven respectively. Our Lady first appeared to the children on Sunday, 13 May 1917, when they were tending their sheep at Cova da Iria, more than a kilometre from their homes. She was dressed in white and surrounded by light. She said she was from heaven and asked the children to come to that place on the 13th day of each month at the same time for six months. She asked if they were willing to offer themselves to God and to endure all the suffering he would send them in reparation for sins and for the conversion of sinners. They answered yes and Our Lady said they would have to suffer much but that the grace of God would be their comfort. She also asked them to recite the rosary every day to obtain peace for the world and the end of the war. It should be remembered that the First World War was then raging and it would end the following year on November 11. In the June apparition, with some 50 others present, Our Lady told the children that she would take Francisco and Jacinta to heaven but that Lucia would remain on earth for a long time to promote devotion to Mary’s Immaculate Heart for the salvation of souls. In fact Francisco died at in 1919 at the age of 10 and Jacinta died the following year, aged nine. They were beatified by Pope John Paul II on 13 May, 2000. In the July apparition Our Lady repeated the plea to say the rosary every day and she said that in October she would reveal who she was and she would do a miracle that all would see. She also showed the children a vision of hell and said that to save souls God wanted to establish devotion to her Immaculate Heart. On 13 September some 30,000 people accompanied the children to Cova da Iria, where they recited the rosary before Our Lady appeared. She reminded them to continue to recite the rosary and she said God was happy with their sacrifices but that they shouldn’t sleep with the rough rope around their waists, which they had been doing for penance, but should use it only during the day. Finally, 13 October came and some 70,000 people braved the torrential rain, mud and cold to go to Cova da Iria. When Our Lady appeared she identified herself as the Lady of the Rosary and asked that a chapel be built there in her honour. She asked the people to continue to recite the rosary everyday and said the war would end soon. Then she launched a ray of light towards the sun, which had suddenly broken through the clouds as the rain stopped. The sun began to revolve, sending out rays of light of different colours that lit up the surroundings. Then it went back to its place for a short time before seeming to fall from the sky towards the people, who fell to their knees and begged God for mercy. The sun then returned to its normal place. Meanwhile the children saw Our Lady dressed in white with a blue cope, St Joseph with the Child Jesus who blessed the crowd, and then Our Lord blessing the world standing next to Our Lady of Sorrows. At the end Our Lady appeared as Our Lady of Mt Carmel. The people all saw the miracle of the sun. Even sceptics reported seeing it and anti-clerical newspapers in Lisbon wrote articles on it. The apparitions at Fatima were impressive indeed.